great for demolition jobs where you need to remove beams quickly. Earlier this year I bought the Makita DJR186Z cordless version for around £90, I have lots of Makita tools but this thing is a beast. Used it with Saxton blades (£11.99 for 10 blades, four types). 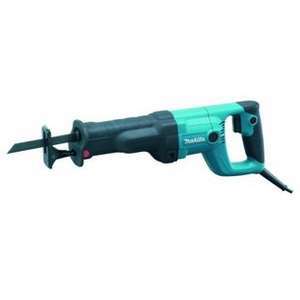 Earlier this year I bought the Makita DJR186Z cordless version for around …Earlier this year I bought the Makita DJR186Z cordless version for around £90, I have lots of Makita tools but this thing is a beast. Used it with Saxton blades (£11.99 for 10 blades, four types). I use a jigsaw for cutting pallets , lighter, - I use T127D cutting blades -for aluminium ! - for all my wood cutting. Good price for this tho' . I use a jigsaw for cutting pallets , lighter, - I use T127D cutting blades …I use a jigsaw for cutting pallets , lighter, - I use T127D cutting blades -for aluminium ! - for all my wood cutting.Good price for this tho' . Do those blades cut through the nails and wood at th3 same time? I don't think so. I avoid nails when cutting. 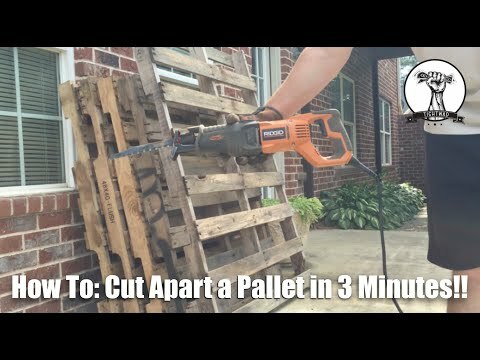 I used to try and salvage the wood but now I just cut for firewood.